We may have taken a seriously wrong turn but I don’t think we have! 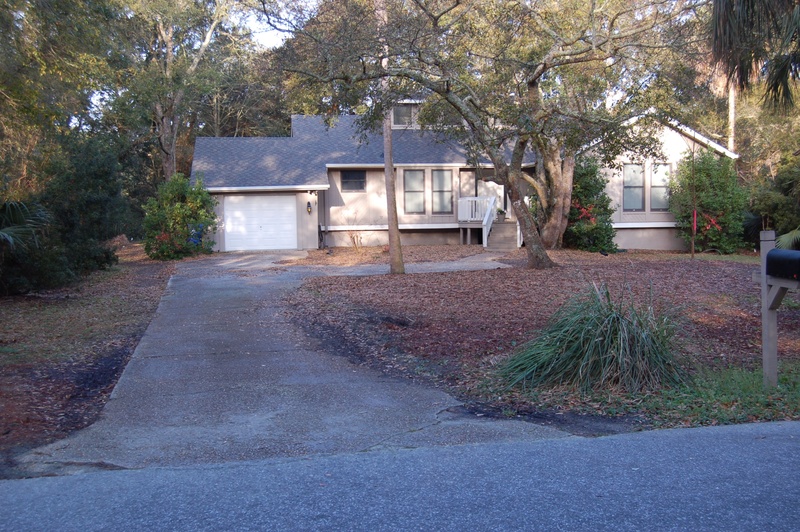 We have been searching for a small beach house in the Charleston area for several years. We just couldn’t find the perfect one for us. Then last year, we found one on the market that was in our price range and we thought had great potential. To say that it looked sad & tired is an understatement! It looked nothing like a beach house even though the ocean was only a block and a half down the street. The house was a short sale and we had no idea about the long grueling process. But, we decided to go for it! It took six long….make that very long months from the time we made the offer to the time we closed! I won’t sugarcoat it as it was a painful process. It was also pretty painful for our friends that had to listen to us whine! But good things come to those that wait, right?! So the house is ours but now we needed an extreme home & yard makeover. On the HGTV website, we found out about a new show and they were looking for people who had just purchased a beach house (check) and wanted to update it (check)! We applied and actually made it through the initial screen but then we were DENIED! Oh well, I love HGTV anyway. Congratulations on the hard work that will pay off with lots of SEArenity in the future! Thanks Wendy! Looking forward to you visiting when the remodel is finished! Fireplace redo is next! Stay tuned! !